The leading ladies of the movie, Once Upon A Time In Mumbaai -- Kangna Ranaut and Prachi Desai -- arrive at producer Ekta Kapoor's residence to celebrate the film's success, in Mumbai on Wednesday. The film opened to rave reviews and is on its way to becoming a runaway hit at the box office. 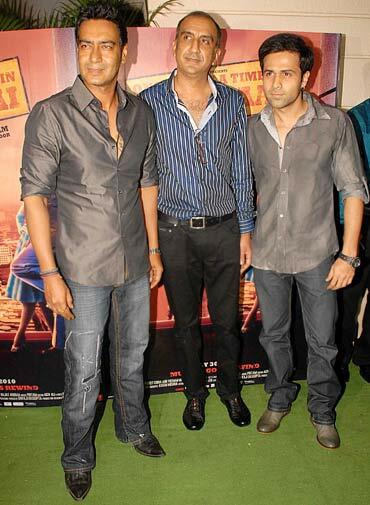 Close on the heels of the women were the film's leading men -- Ajay Devgn and Emraan Hashmi who pose for this picture with the film's director, Milan Luthria. This is Ajay's third hit of 2010. His first was Atithi Tum Kab Jaoge followed by Raajneeti. What's more, the actor has three more releases lined up this year -- Golmaal 3, Aakrosh and Toonpur Ka Superhero. Looks like this is the year of Mr Devgn. 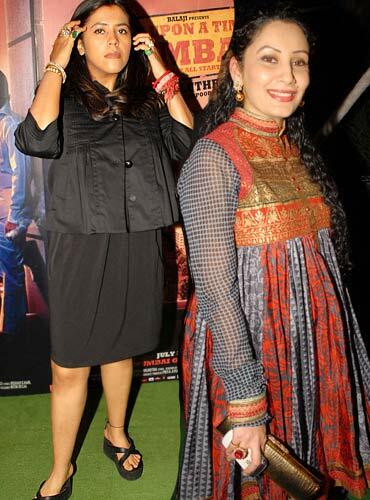 Ekta is tickled pink that her movie is a hit. She even tweeted that she can now bid goodbye to the letter 'K' (she along with filmmaker Karan Johar consider the letter lucky). Meanwhile, a visibly pregnant Manyata Dutt minus husband Sanjay, was one of the guests spotted at the party. 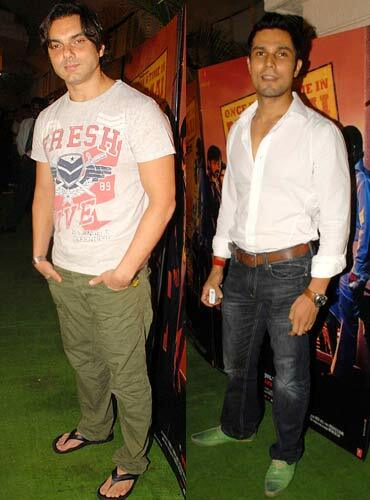 Even though his was a small role, Randeep Hooda, was noticed. Here he is spotted along with Sohail Khan. 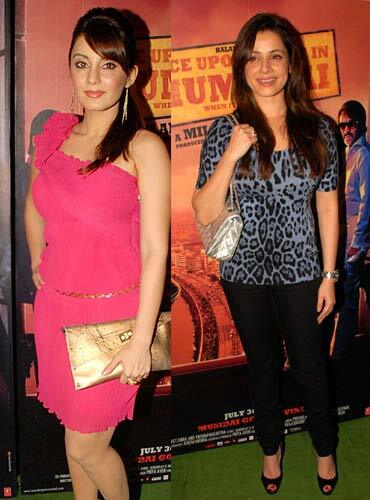 Other guests spotted at the success party include Minissha Lamba and Neelam. Elsewhere in Mumbai, Deepika Padukone unveils fitness expert Namita Jain's book and DVD, Jaldi Fit. 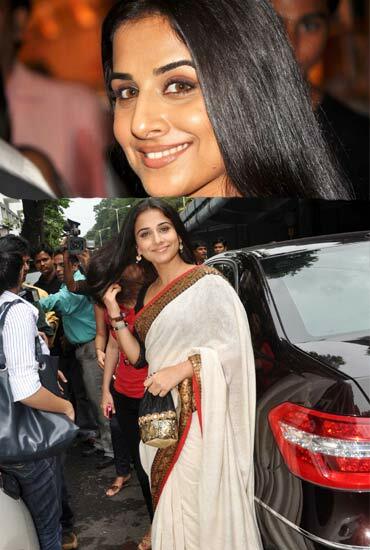 Also in Mumbai, Vidya Balan is spotted at the The Maruti Story book launch. 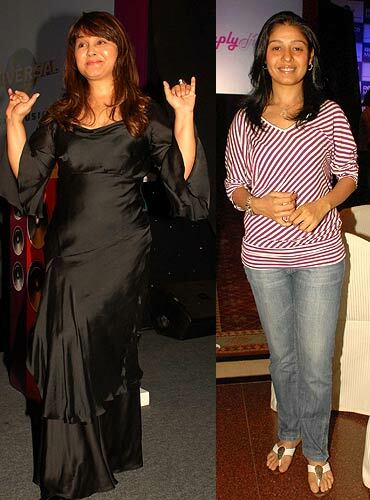 Meanwhile, singers Alisha Chinoy and Sunidhi Chauhan are spotted at a press conference of the music label Universal. 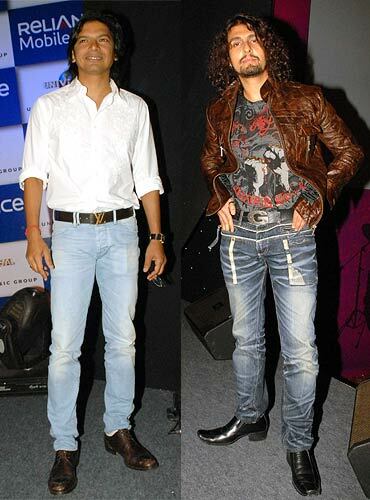 Also spotted at the event are singers Sonu Nigam and Shaan. Just who are these characters in Glee?